What is the new SiteDesigner V2? The SiteDesigner V2 is exactly what you are looking for. 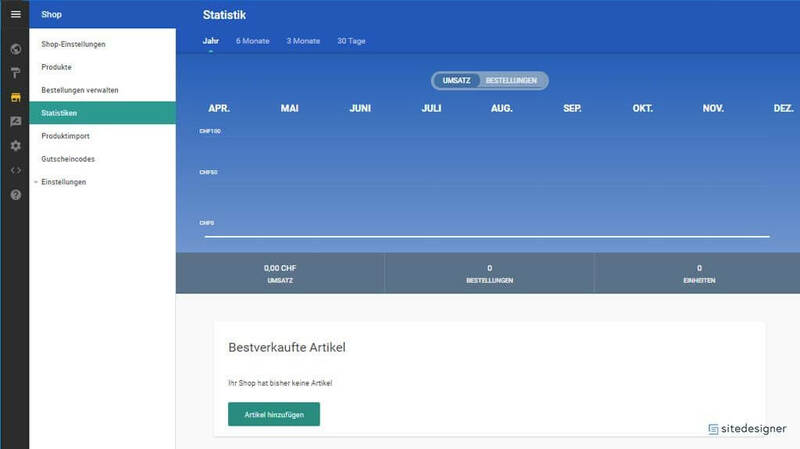 A simple and intuitive tool to create your individual website. The homepage construction kit for small and medium-sized companies, private individuals and professional web designers. Choose the design of your choice and create your own website in no time at all, which is as unique as you are. Let your creativity run wild. The SiteDesigner V2 homepage construction kit makes it possible. VERY SIMPLE – A PROMISE! 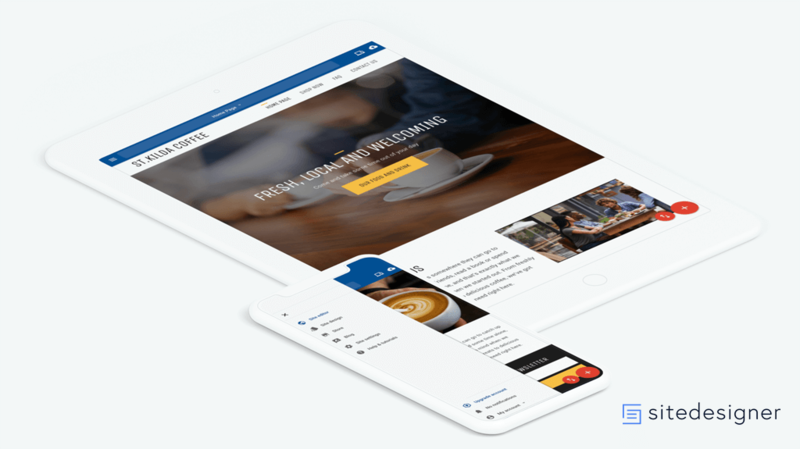 Creating a website is now quick and easy with our SiteDesigner V2. Without technical knowledge, you can create your own personal website. Choose from hundreds of professional design templates or create your own. Write text, post images, use social media, Google Maps and more. Customize your site to your personal wishes and make your website unique. With our Responsive Design your website looks perfect on all devices. Whether with a mobile phone, computer or on the tablet. Create even more freedom and customize your website according to your wishes with your own program codes or let us advise you. You do not need any additional software on your computer. You can edit your website online with any device at any time in the world. Time-consuming and complicated? This is definitely not the case with the simple SiteDesigner. Because we know how important your time is to you. Be a web designer. This is both faster and cheaper. Create beautiful websites on your own. If you have any questions, please contact our support. How to create a successful website? Without any technical gimmicks. We offer you exactly what you need for your own perfect website. 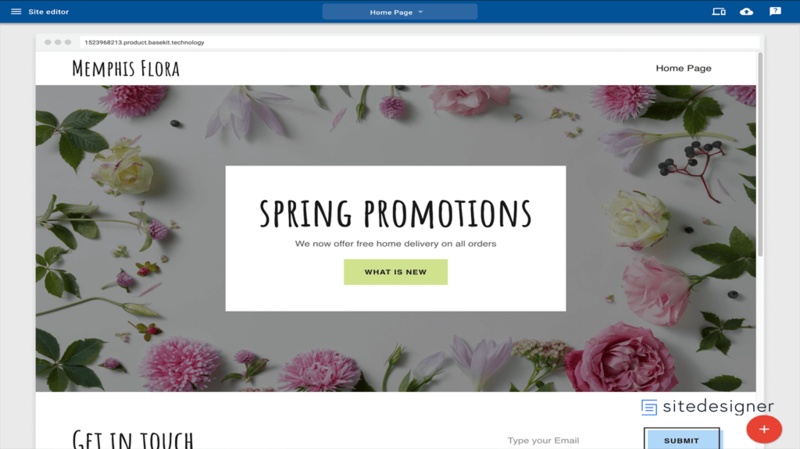 In SiteDesigner, the online shop is already in there for you. So you have everything in one place and can sell your products even faster and easier. 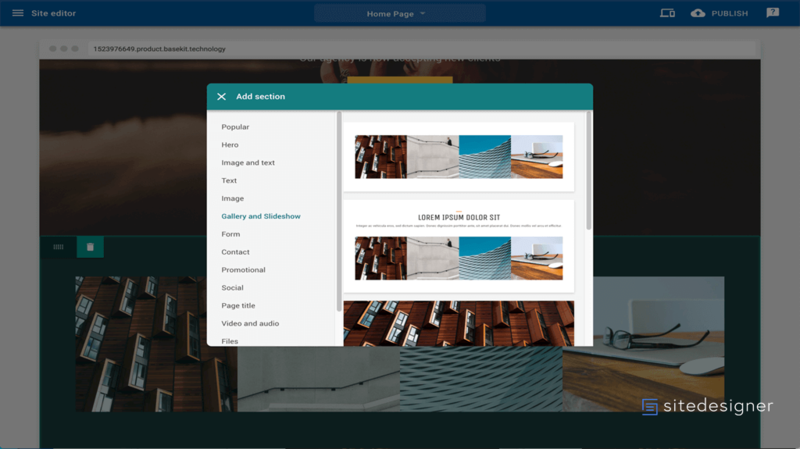 With modules like galleries and slideshows for your photos as well as widgets like embedding for your YouTube movies and your DropBox files you are prepared for all eventualities! Create your own blog with Site Designer and keep your fans up to date! Use our import wizard to import your existing WordPress blog. With this widget you can display a gallery and let your visitors browse through all your photos. You can display several pictures in a row with a slideshow. Your customers can browse through the pictures. We have also integrated the Google Maps tool so that customers can find and visit you even better. Customers can contact you personally through your own website. You define the contact fields freely. So that you can exchange and download files quickly and easily, the Dropbox module is available to you. With our PDF Download Widget you can provide your visitors with your PDF directly online. You love making movies? Then the Youtube widget is the one for you. You can link your YouTube movies. You can add your own programm code to your homepage to customize your website even more. You like selling things? Then the PayPal Checkout Button is just perfect. This allows you to sell items directly online. You don’t like your design anymore? No problem! Just choose a different design and all your content will be taken over. Search engine optimization (SEO) is included in all packages. To make Google find your site even better. With Google Analtytics you can analyze your web visitors and find out better what they are interested in on your website. You have created the website with your own code and your site no longer works? No problem with the debug mode. You don’t have to worry about updates anymore. We make sure that the software is always up-to-date. Creating an online shop has never been easier. The OnlineShop is included in every SiteDesigner offer. Choose from hundreds of professional shop templates and edit them. Add descriptions, details, payment methods, currencies and much more. Create product, add photo and text. Publish your website and your shop. Configure, upload product image, write text and your online shop can start. Go ahead and get started! No matter where your customers are and which device they use to access your shop. Your shop always looks perfect. I will be informed about all orders received. No matter how, when, where you are. Change the template at any time. ShopDesigner also offers hundreds of professional templates to choose from. We protect your website with an SSL certificate, so that the data transfer of your visitors is encrypted and secure. Our shop supports a variety of payment methods, such as PayPal, credit card, postal payment and much more. Keep track of all your sales. With our detailed statistics this is no longer a problem and you can optimize your sales. You can access the online shop from anywhere in the world. You always have everything under control. You don’t know how to start or need support? No problem! Contact us, we support you until you have your perfect website that you deserve. Assemble your website from individual components, which you simply drag & drop with the mouse where you want them to be placed in the design. The site designer is the perfect tool. It is easy to use and allows you to create and maintain your website without much effort. What you see is what you get! You create the content exactly as it will be displayed to the visitor. That way you have everything in view. Choose from over 100 beautiful, professional-looking design templates or create your own design. You take care of the content, we take care of the software updates and make your website work. Your personal online shop is included in every offer. You can get started right away and sell your stuff online. Show your company at its best, attract more customers and increase your success. You leave the technical challenges to us. Become more successful and make yourself visible on the Web. With our SEO tool for search engine optimization you stay on the forefront. Act with your personal email address towards your friends, business partners and customers. This gives an even more professional impression. We offer the right solution for every need. If you are unsure which package is right for you, you can contact us or try out our SiteDesigner for 14 days for free with the demo package. If you have any questions, just contact us and we will be happy to advise you personally. Would you prefer your website to be run by a full professional? No problem! Just let our web design team create your website. You don’t have to worry about anything. We offer you tailor-made solutions from CHF 450, which exactly meet your requirements. Our creative web designers are happy to design a personal website especially for you, with or without an online shop. You can then customize the content of the website to suit your own individual ideas. We look forward to your project! Are you a freelance web designer or are you part of an agency? Then you are definitely interested in SiteDesigner. SiteDesigner was developed especially for you to meet the needs of your customers. You can create professional website templates for your customers, which they can then manage online in SiteDesigner. You sell your own design to your customers and/or personally maintain the website for your customers. SiteDesigner is an ideal product that minimizes your investment and negative customer feedback. The FireStorm team is available to assist you and can also provide training if required. We would be happy to advise you personally for an individual offer. You are not sure how to start with your website? We will be happy to help you. Our regular training sessions show you step by step how to use SiteDesigner and what it can do for you. Just contact us and we will make an appointment with you personally. We are looking forward to your inquiry. Let our web designers create your website. We offer tailor-made solutions from CHF 450. If the packages do not correspond to your wishes, ask the price by sending us what you need for your desired package and we will make you a new offer. You can adapt the website content to your ideas after the completion of the website.